Josie left this earth and has entered God’s Kingdom of heaven this past week. As a teacher coach and administrator for 34 years I have rarely experienced a more devoted parent than Josie Bencivengo. She daily displayed her devotion through her love, loyalty and enthusiasm for her precious family! She never left any doubt what mattered most in her life. She understood with a mother’s love exactly what devotion means. It’s so crazy. I love to share my vision for Suit Up Ministries with anyone who will listen. Whenever I get to share in a mixed crowd of men and women to talk about the importance of dads…guess who "gets it" usually immediately? I believe it’s because whether married or not, they have sometimes been directly/indirectly affected too by the absence of a father or found themselves standing in the gap for a husband that is not a devoted dad! at times from being the Daily Active Devoted dad God has created us to be. So how do we as DADs or DAD figures “practice” devotion like a mom who gets it? 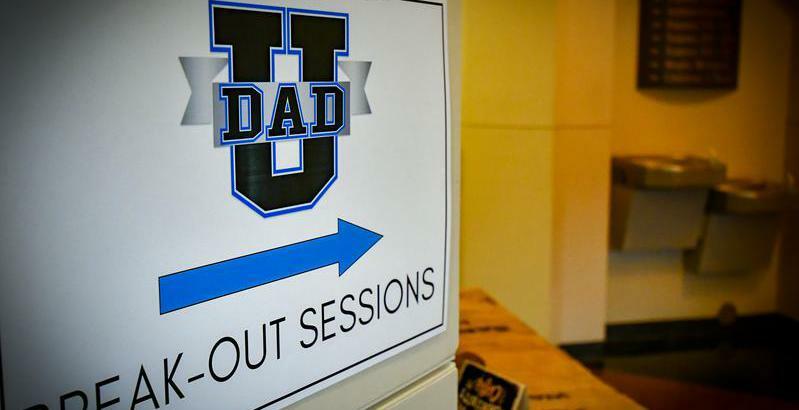 DADS all too often we can be devoted to... Our career. NOT eternal, become a barrier from the people in our lives? Specifically, a barrier in our devotion needed towards our children? Is splintered devotion really devotion? Wow. That is a question I need to point right back at me. Here is the ultimate example of devotion found in the Bible. So devotion is really all about sacrifice. God our DAD in Heaven, was and is so devoted to His children…us, that He gave up His one and only Son to give us life! On this first Wednesday after Easter I challenge you to deeply reflect upon our creator's sacrifice. Unconditionally giving of His love, loyalty and enthusiasm…devotion for each of us. What are the sacrifices we need to MAKE today? What are the sacrifices allowing us to be the Devoted DADs God has called us to be? So, like God…Nothing…Nothing, will separate our love and devotion from our children, leaving a legacy like a mom named Josie. DADs…do not stand on the sidelines of life…get off the bench…“get in the game"